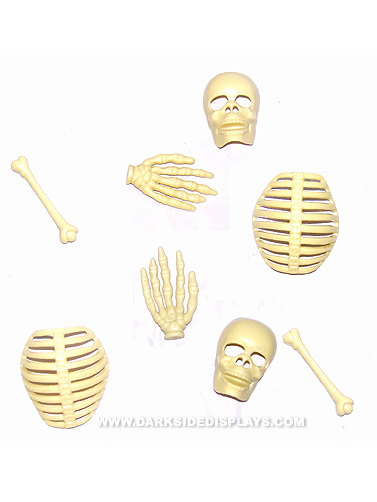 Sprinkle the Halloween party table with the miniature skeleton parts. Assorted skulls, ribcages, and bones. Use in your holiday crafts, or add a few to treat bags this year. Skeleton Table Sprinkles measures 1.75" - 3.75. 50 ct.